DUNWOODY, Ga. – The Convention and Visitors Bureau of Dunwoody has a new identity – Discover Dunwoody. The new name encourages visitors to discover the unexpected experiences found in the community and speaks to the mission of promoting Dunwoody as a compelling travel destination for business and leisure. Hidden gems like the Dunwoody Nature Center’s hammock garden, Spruill Gallery’s Everything Will Be OK mural, and East 48th Street Market’s mouthwatering sandwiches are just a few reasons why visitors will want to rediscover Dunwoody again and again. Discover Dunwoody will retain its tagline created in 2015 “Above and Beyond,” which strikes just the right chord in two key ways. Geographically, Dunwoody is located just above Atlanta and it goes far beyond what one might expect to find here. Literally and creatively, Dunwoody is “Above and Beyond” and this simple phrase encourages the target audience to come see for themselves. The name change is the first action item of the organization’s three-year strategic plan and kicks off its 10th anniversary year. Legally, the organization will remain the Convention and Visitors Bureau of Dunwoody, but it will be known and promoted as Discover Dunwoody. In all cases where the organization will be publicly mentioned, it shall now be referred to as Discover Dunwoody. 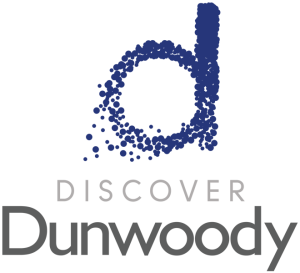 Discover Dunwoody is the official destination marketing organization for the city of Dunwoody. Its mission is to promote the community as compelling travel destination for business and leisure, advancing the city’s economic vitality and quality of life. For more information, contact Katie Williams at katie@discoverdunwoody.com.